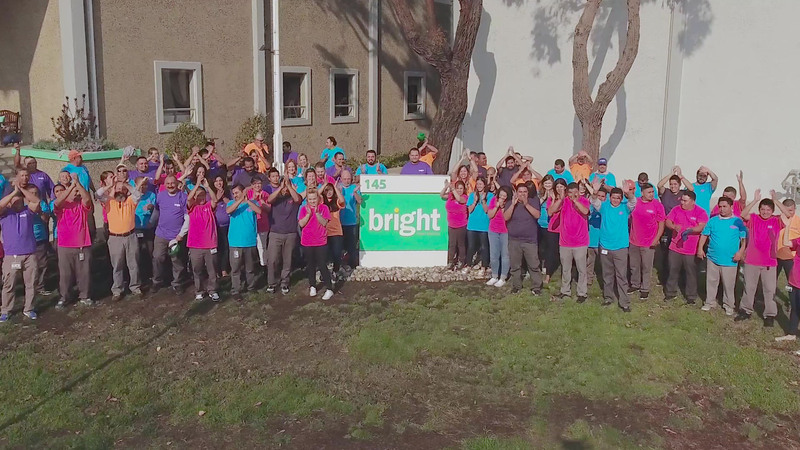 Founded in 2013 and with locations throughout California and Arizona with 900 team members, Bright provides equipment rentals and planning services to caterers, event planners, resorts, universities, award shows, corporate clients and weddings. We provide high quality special event rental equipment and service. "Simply excellent” is more than a tagline; it’s how we do business. We celebrate Success – for one another, for team members, for clients, for doing what we love. One Team One Dream! Receives, stores, and distributes assets within warehouse by performing the following duties. * Reads load sheet or bill of lading to determine items to be moved, gathered, or distributed. * Drives forklift to convey product and items from receiving or loading areas to storage or to other designated areas; completes forklift inspection. * Load outgoing and unload incoming trucks; Sorts and places products by hand on racks, shelves, or designated area according to predetermined sequence such as size, brand, style, color, stop sequence or product code. * Sorts and stores assets in designated areas. * Counts palletized product for delivery to ensure conformance to company standards. * Wraps pallet with shrink wrap and marks materials with identifying information. * Records amounts of product received or distributed. * Drives vehicle onsite to enable loading of product for shipment. Will be required to perform Order Filler and Checker duties. Washes dishes, glassware, flatware, kitchen equipment/utensils, pots, and/or pans using commercial dishwashers or by hand. As a Laundry Room Associate, you will be responsible for all the linens that come through on a daily basis. We are looking for dedicated individuals who can help deliver our quality fleet of products to our customers. The responsibility of this position is managing specialized work efficiently, with confidence and competence. The position requires above average attention to details, concern for the exact correctness of work, and strong commitment to tasks completed on time. The person in this position will take work seriously, has a strong sense of duty, and is disciplined. A somewhat faster-than-average pace will be the norm for this position. Detailed, specialized work is the major focus. The person in this position will require clearly defined work, responsibilities, and reporting relationships, ongoing and thorough training opportunities to develop expertise and increase confidence, and frequently expressed appreciation of the person’s competence, conscientiousness, and loyalty. The position will provide security in a stable work environment, allowing the person to plan for, focus on and complete tasks on hand. When changes in the nature of the work occur, the person in this position will need direction, training and support. The focus of this job is on producing high quality, detailed work based on established standards, guidelines and procedures. Precise, consistent work output is essential requiring patience and a willingness to handle and complete one task at a time. The job environment is stable, based on known relationships with people and well-defined processes. Job knowledge and competency is built through structured step-by-step training and positive, supportive coaching from management and peers. Communication with others is based on knowledge of repetitive job routines and procedures gained from sufficient on the job experience. Consistent, error free work based on defined regulations and standards are key measures of job performance success. The job environment promotes steady, methodical work output so that job routines can be completed on time and error-free. Plan, organize, or manage the work of drivers and warehouse staff to ensure that the work is accomplished in a manner consistent with company requirements. Implement schedule or policy changes for drivers and warehouse staff. Monitor operations to ensure that staff members comply with administrative policies and procedures, safety rules, environmental policies, or government regulations. Direct investigations to verify and resolve customer complaints. Prepare management recommendations, such as proposed schedule changes. Direct activities related to dispatching, routing, or tracking transportation vehicles. The Night Shift Load Crew Supervisor is responsible for the efficient, safe and accurate loading of the delivery trucks and performing the assigned warehouse maintenance tasks that accompany the position.